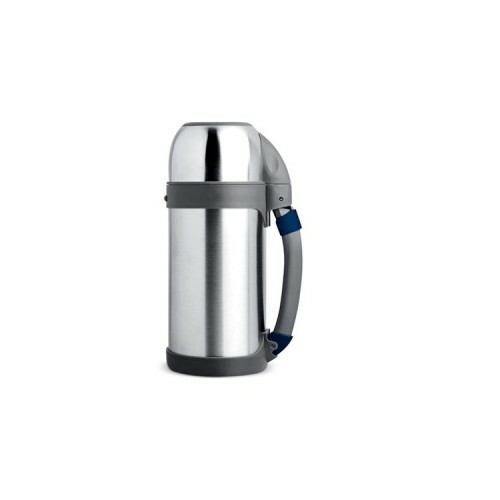 Spec Vacuum Flask Travel Mate •SUS304 stainless steel double wall insulation. •Keep hot or cold drink for hours. •One touch stopper for easy pouring water with 360˚ inner lid. •Elegant soft grip. •Practical shoulder strap.